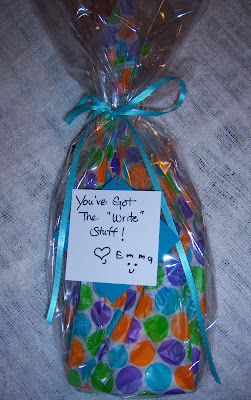 As Teacher Appreciation Week continues, so does Emma week of giving to her wonderful teacher. Today's gift was practical yet oh so useful. Something every teacher can use! 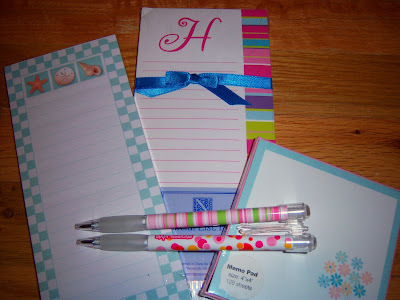 A simple set of notepads and two pens...Perfect for writing quick notes to parents! Each notepad cost $1 and the pens were $1.29 for a pack of four (I kept the other two!!). 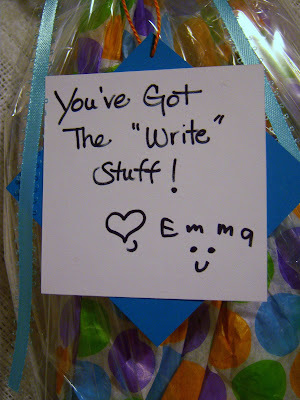 I already had the tissue paper, ribbon, card stock and clear wrap. Small cost that leaves a big impression!